Australian officials this month will start bulldozing a handful of homes and public buildings contaminated with deadly Mr. Fluffy asbestos insulation. 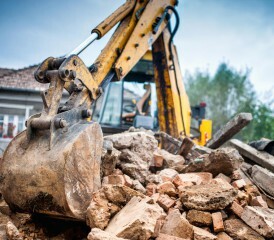 The pilot demolition program is part of the Australian Capital Territory’s (ACT) massive “buyback and demolish” program aimed at eradicating the ongoing risk of asbestos exposure from Mr. Fluffy-brand loose-fill asbestos found in 1,021 homes in Canberra. A spokesperson for the Asbestos Response Taskforce confirmed that more than half of homeowners whose residences are affected by the toxic insulation agreed to the ACT government’s offer to purchase their properties. The buyback program ends June 30. The broader five-year demolition program is scheduled to begin in July. Asbestos is known to cause mesothelioma, a deadly and rare cancer that affects the membrane that surrounds the lungs, heart and abdominal cavity. The task force shows offers to buy back homes are averaging nearly $700,000. At that rate, the total cost of the ACT’s buyback program could reach close to $703.5 million. However, some homeowners claim the buyback program is inflating home prices, making it difficult for homeowners to restart at a time when the housing market is in flux. Residents wishing to rebuild in the same location are faced with soaring expenses. The cost of bricks, tiles, trusses and concrete rose between 6 and 10 percent over the last six months. Other residents allege the ACT government will make a profit from rezoning redeveloping decontaminated properties. A task force spokeswoman denies that claim. Financial issues are not the only factors making it difficult for Mr. Fluffy victims to move on with their lives. Many homeowners fear a mesothelioma diagnosis stemming from their asbestos exposure years from now. Australian journalist Ginger Gorman interviewed Kim Grant , a single mother living with her three children in one of Canberra’s contaminated homes. Grant says the situation has left her feeling guilty and angry. “I have had many sleepless nights over it and I’ve gotten to the point now where I have to make peace with the fact that there is nothing I can do. Nothing,” Grant said in a report published in News.com.au. The task force also advised homeowners that anything attached to a wall cannot be taken from the property. Homeowners are prohibited from remove any possessions that cannot be wiped down such as children’s toys, soft furnishings, drapes, carpets and clothing or linen stored in cupboards or wardrobes. Chris Reynolds, acting head of the Asbestos Response Taskforce, says all homes surrendered to the government will be impenetrable while awaiting demolition. Workers will change locks, screw doors and windows shut from the inside and install sensors and alarms around the properties. Swimming pools, ponds and spas will be drained, covered and fenced. Hot water systems and air-conditioning units will be sprayed with red paint. Possessions left behind by the residents will also be sprayed with red paint to mark them unsuitable for use or resale. Security guards patrol the properties three times a day. Despite those measures, Reynolds warns it may not be enough to deter looters. “Unfortunately in most societies, people look for opportunities to take advantage of what might appear to be an easy gain,” Reynolds said.